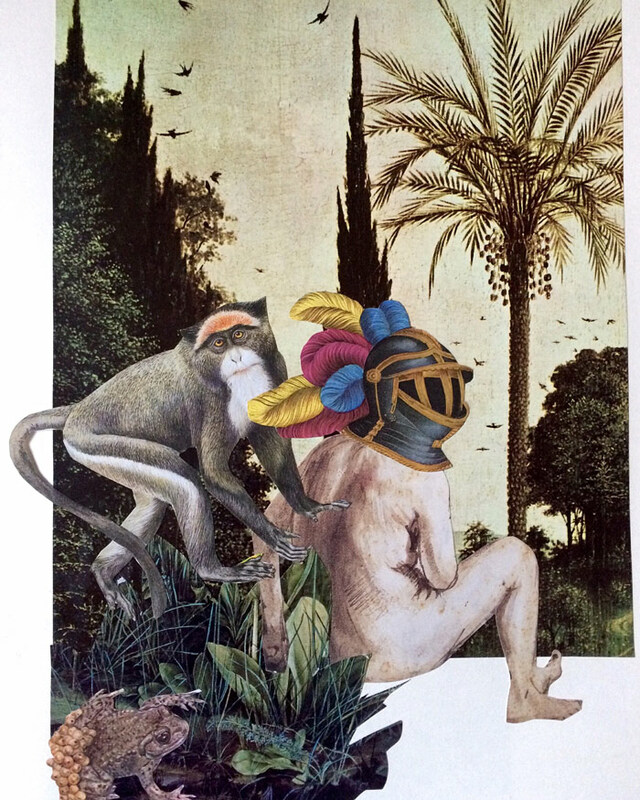 Collage has been my medium of choice since childhood. A pile of paper off-cuts, magazine pages, tissues, acetate and time-honoured images is intriguing. 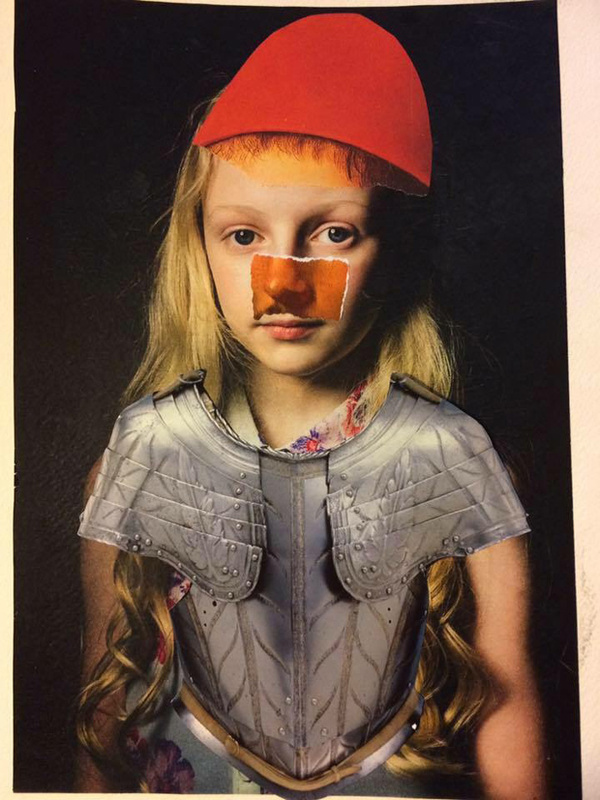 I spent much of my childhood in museums and have taught art history. 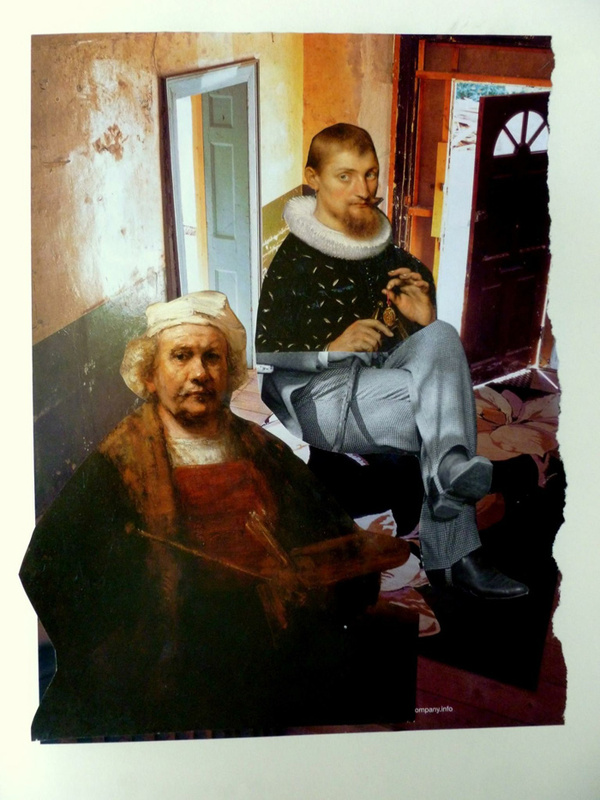 The faces of individuals from Caravaggio, Van Der Weyden, Durer to Rembrandt have universal appeal and are used in many of my collages as timeless people in flux. Fleeing, travelling, settling in new and off-putting places, give surreal qualities to the arrangements. Looking into the unknown, the ephemeral void, even tomorrow is alluring. Collage allows me to work through life events. Sharing collage as mail art, collaborative collages, sketchbook work and single imagery are part of everyday. American-born (New Jersey), my family and I have lived in Ireland since 1987. Born in New Jersey in the 1950s, making collages since the 60s, my first serious outing was submitting black-and-white arrangements for our High School Yearbook in 1969. It took a while for the faculty advisor to say, “Yes”. Work was exhibited in New Jersey and Pennsylvania in the 1970s. Museum Staff exhibition at The Newark Museum (1983); Summit Art Centre (1984); ephemeral pop-up exhibitions: “C-Cal” in Loules, Portugal; “collage: juxtapositioning” at NEXT Gallery, Denver, Colorado; “Napoleon: the Elba Years”; “Book of Death”, Wales; “Sirens of the Harbour, Mermaids”, Bordeaux, France; “Turquoise”, Lyons, France; outings with Collagistes Collective: “Bustin’ out on a Dream 1”, Whitechapel Gallery, London; “Bustin’ Out in a Dream 2”, Copeland Hall, Peckham; “Art Worldwide”, Padua, Italy, 2014-2016. 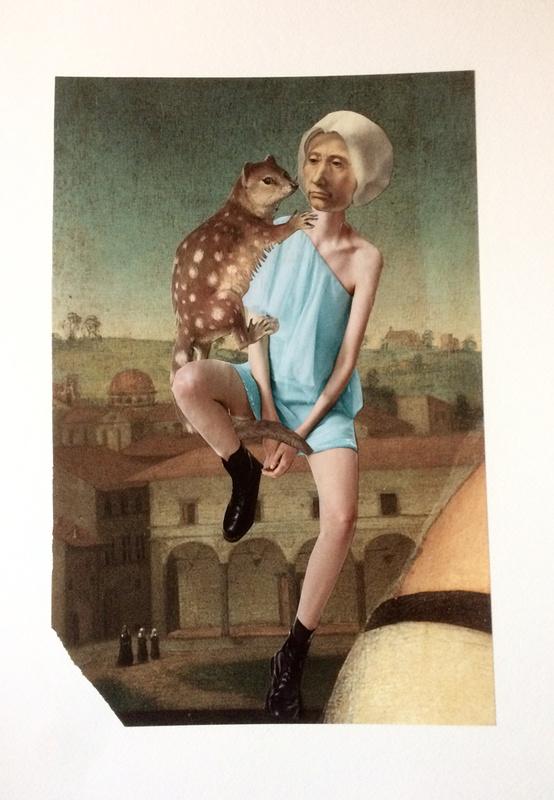 Recent exhibitions include the traveling exhibition,“Il purgatorio”, Corsi, Italy, March 2018-March 2019 and “Collage: 3 Artists”, Blue House Gallery, Schull, County Cork, Ireland, April-May 2018. 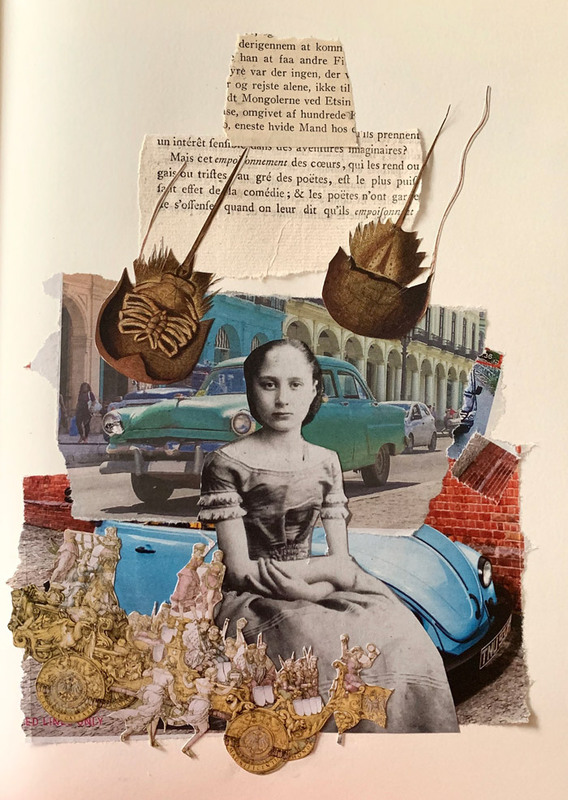 White’s work was featured in the chapter, “Playing with Paper”, of The Collage Ideas Book by Alannah Moore (Octopus Press, 2018); and in “Selections from The Flying Glue Book” in Kolaj #22.